It's surprising in winter that many of us still crave the sweet taste of an ice cream or sorbet. If you are one of these people and feeling a little fancy, why not head over to West London and check out Oddono's. 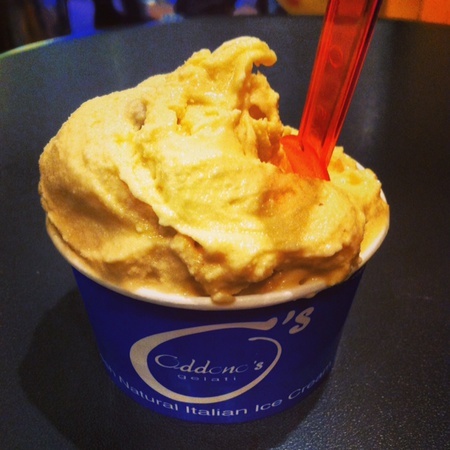 The Italian shop has been around for almost a decade and boasts a wide selection if irresistible gelato and sorbets. One houses favourite is the salted caramel. My word, this would have to be one of the tastiest ice-creams I have let melt in my mouth. It's rich in flavour and provides a perfect balance between sweet and salty. Prices vary from one scoop to a take home tub so there is something for everyone's budget. Do yourself a favour and head West for a guilty treat.